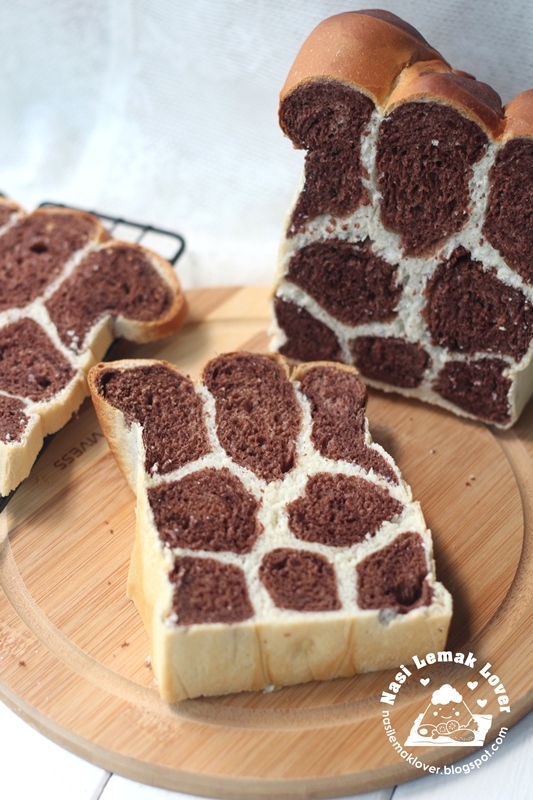 When my blogger friend Fion and May told me about this popular Giraffe bread in FB, i was so excited and tried it out immediately ^_^. Finally i also done this popular Magic cake. 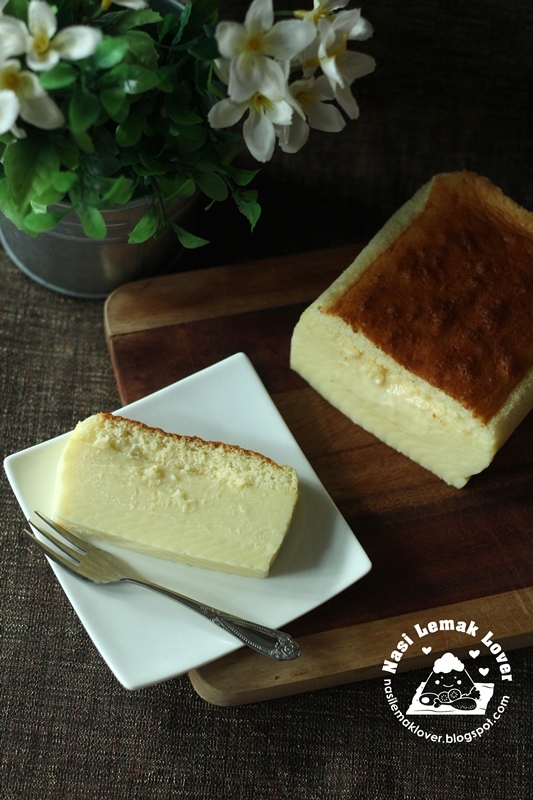 One cake batter create three layers with difference texture after baked, top layer is sponge cake, middle layer is custard layer and bottom layer tasted like kuih (local steamed cake). I was not planned to make durian flavour. My first tried was pumpkin flavour, but i have under baked it and it was not cooked. Since i have durian, so the second attempted i tried with durian, and glad that it turned out ok even i can't really see the 2nd and 3rd layer clearly, but tasted with three difference texture. 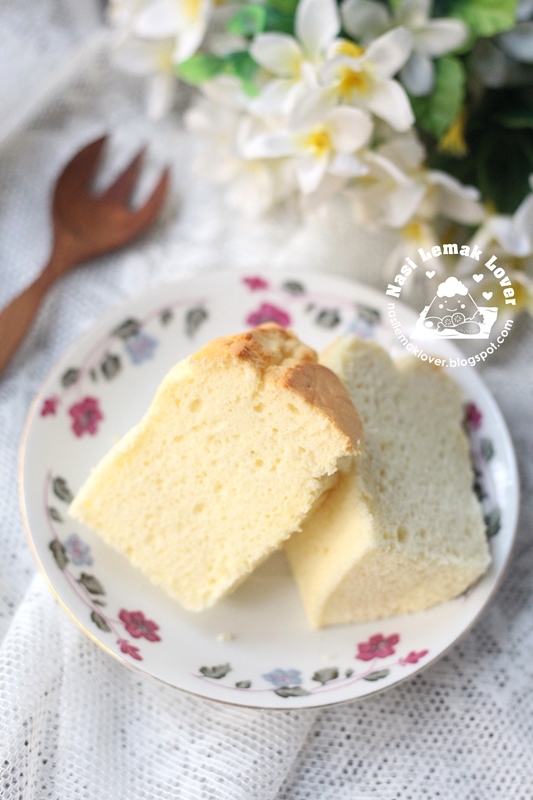 I made this durian chiffon cake yesterday and i was not planning to post recipe as i thought not many peoples can accept this strong taste of chiffon cake. But many IG readers were asking for this recipe, so i just share it here. 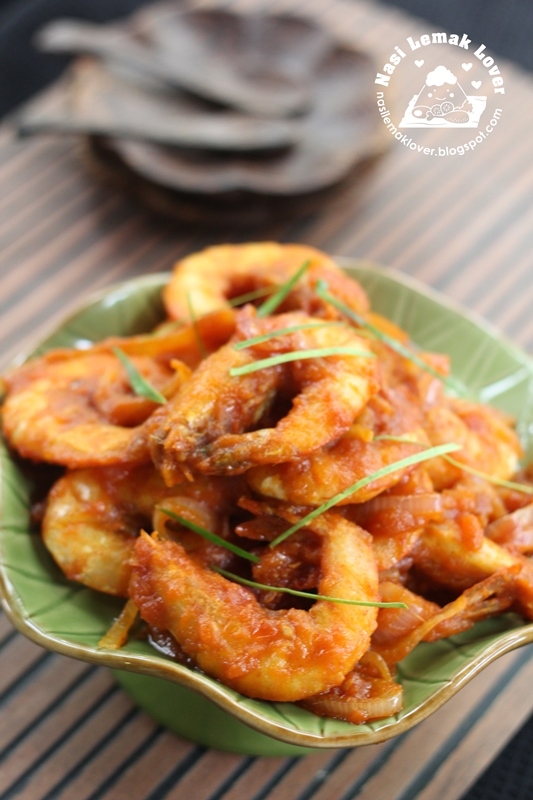 This Udang Masak Merah ( Spicy tomato prawns) recipe was featured in Y3K magazine . And now i would like to record this recipe in my blog too. 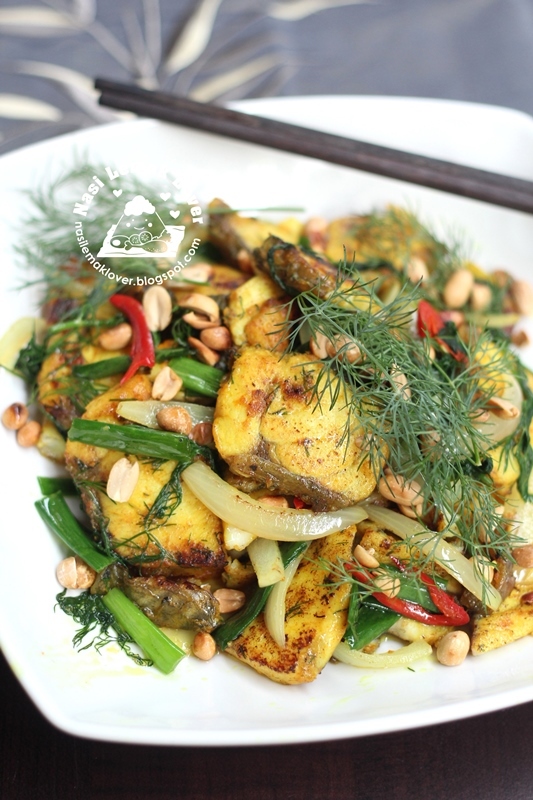 When i have sufficient amount of home grown fresh dill, time to cook this Vietnamese inspired fish dish. 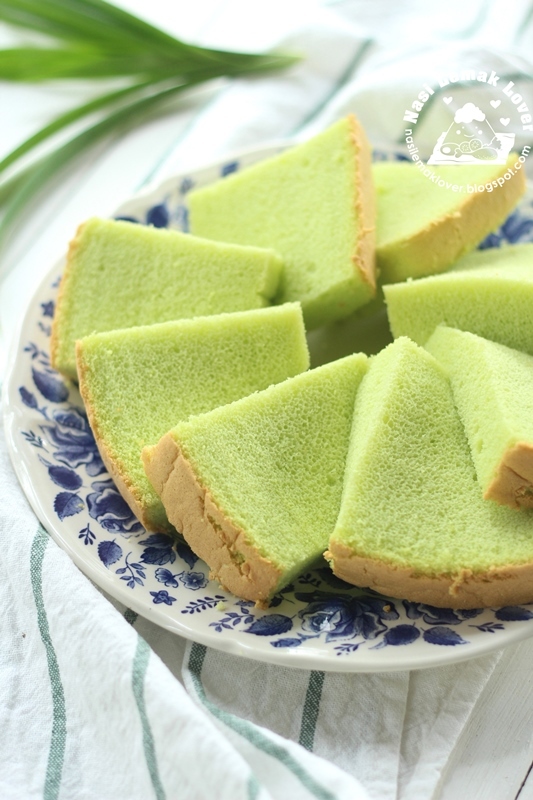 It has been such a long time i didn't bake a Ogura cake ( similar to chiffon cake but with extra 1 whole egg). I was failed to bake this Ogura cake using water bath method earlier. 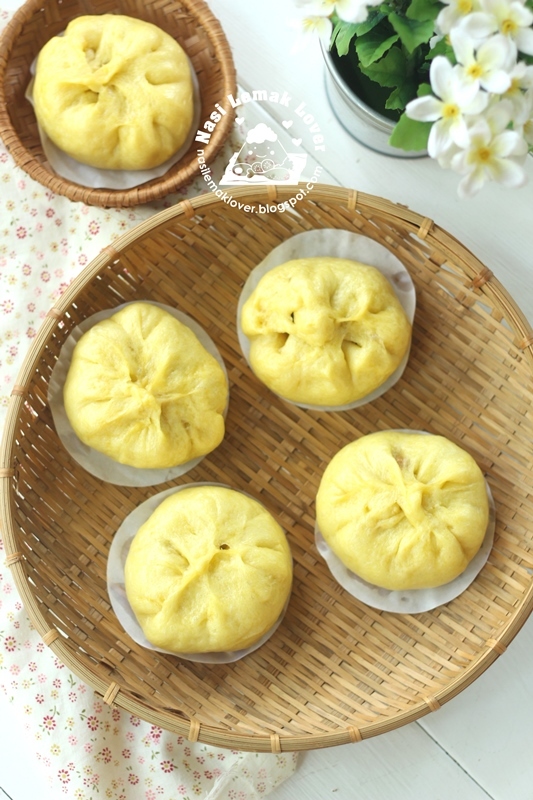 The old recipes i tried was using steam bake and normal baking method. This week i decided to attempt this cake again using water bath method. After trying 3 times and adjusted the recipe, i am please to see the nice result. It has fine crumbs, and it is also light and spongy. 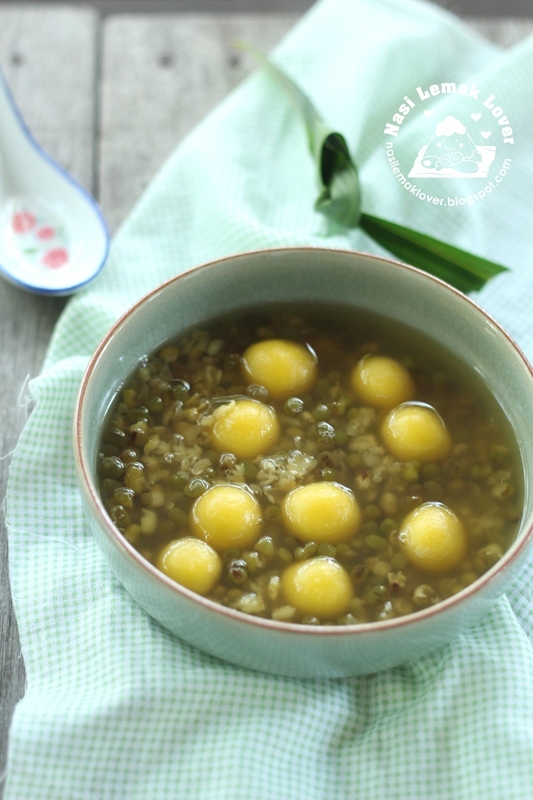 Mung beans soup is one of our family dessert soup. The other day i tried to add some Tang Yuan (glutinous rice balls) that using leftover mashed pumpkin, glad that it turned out nice. The pumpkin Tang Yuan has QQ texture, not bad at all ! During Puasa month (fasting month), usually i like to cook some Malay foods. 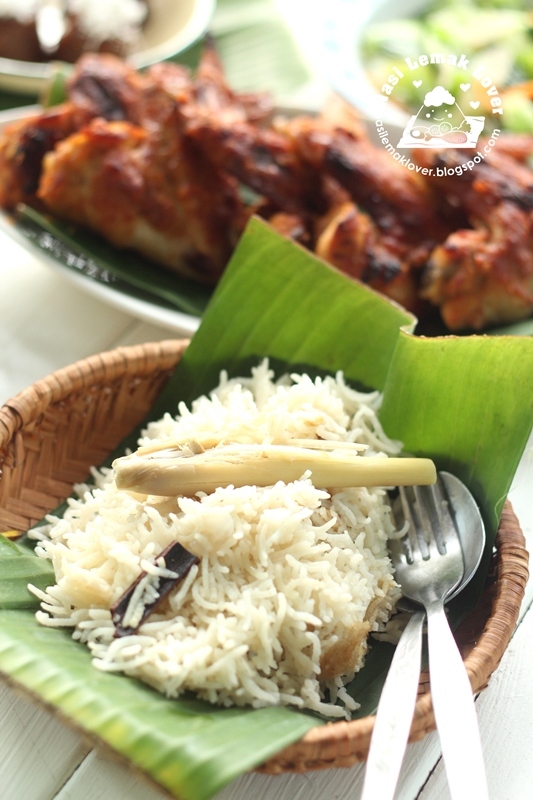 Simple Nasi Serai (Lemongrass rice ) enjoy together with delicious Ayam bakar madu ( honey grilled chicken), they were nice combo! I seldom make tarts or pie, not sure why, i always feel too many works to prepare a tart or pie . Anyway, when i see nice tart or pie pan, i still tempted to buy some ^_^. 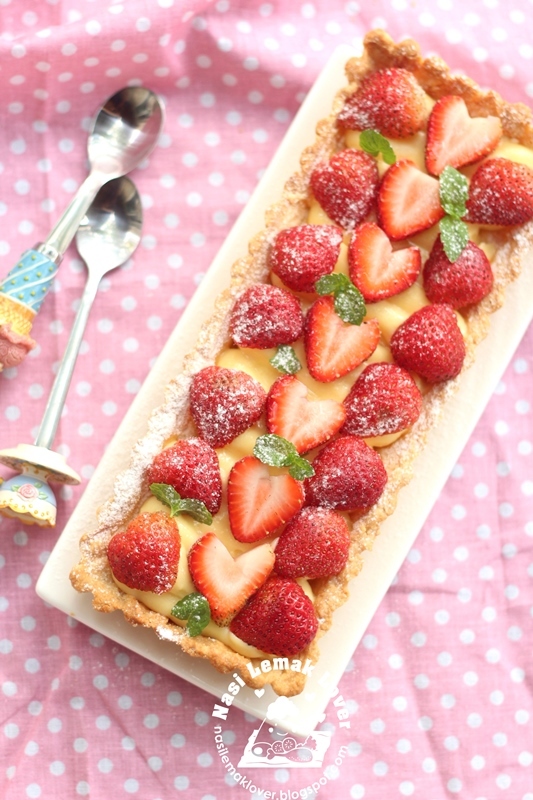 Since i still have some fresh strawberry, so time to make Strawberry tarts as i can use the tart pans that bought long time ago. 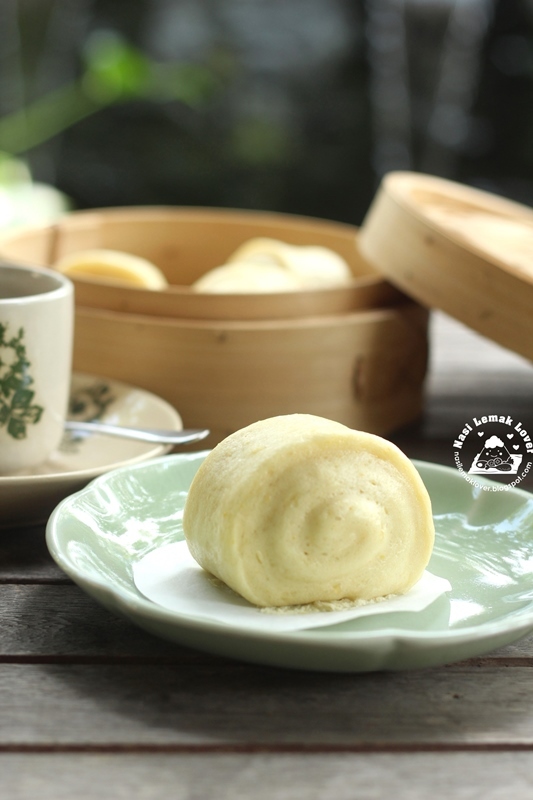 This morning just realized that today is deadline to submit pumpkin baozi (steamed buns) to "Best recipe for everyone" event. So i decided to make pumpkin bao with chicken and onion filling so can be served as lunch. I have too many gula Melaka at the pantry, some given by my friend and some bought by my hubby. 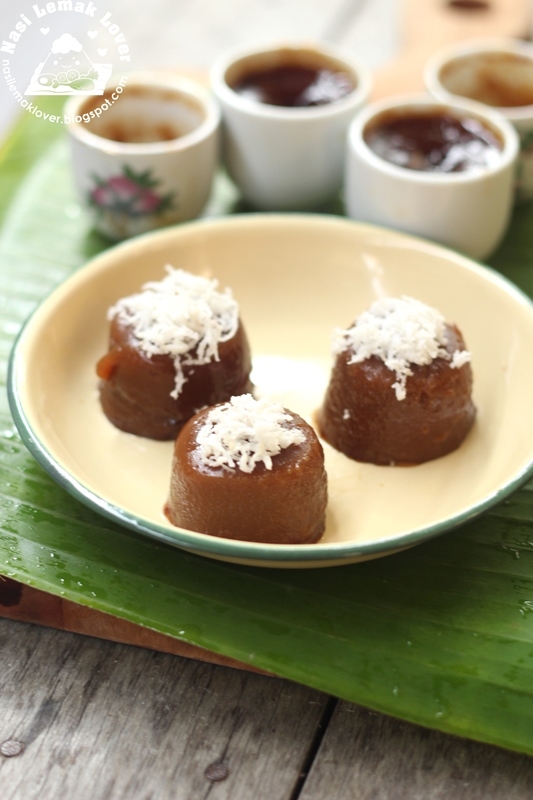 So use some to make this kuih Lompang, it tasted like dodol (Malay sticky rice cake), yum yum..
Last year, we had Bubur Lambuk ( Malay porridge that served during Ramadan (fasting month) for the first time. It was given free by the staff of a supermarket while we were shopping there. 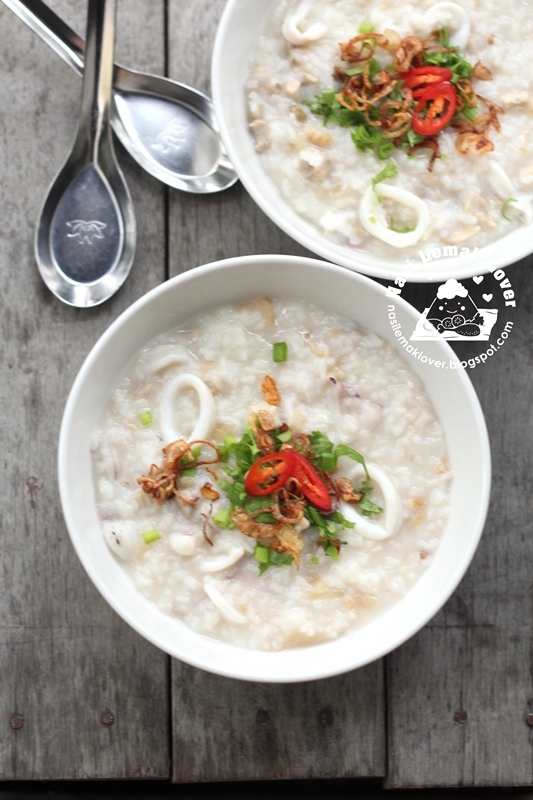 My kids simply love this porridge. They even requested for second serving.